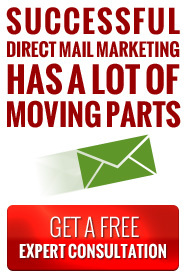 The Postal Service is promoting a service called Every Door Direct Mail (EDDM) as a less expensive alternative to other forms of Direct Mail Marketing. The USPS markets EDDM as a way for businesses to “target” their customers by zip codes and carrier routes without having to purchase a mailing permit or rent a mailing list. However, upon closer examination, what appears to be a great deal and for less money is not entirely true. Read the four myths listed below and the facts behind them. Remember, advertising results don’t just happen….call LSC Mail Marketing and let us show you how to truly target your customers and possibly save some money too! Myth #1: A customer has to purchase a permit to do a mailing. Fact: Mail houses allow customers to use their permits at no cost. Myth #2. A customer has to rent an expensive mailing list. Fact: Mail houses provide “resident” lists at a very low cost. At LSC we provide lists at a per piece rate of $0.012 per piece (based on the per thousand rate). Unlike mail houses, carrier routes furnished by the USPS do not include the current census information such as Household Income, Home Value, Families with Children, which can help a customer pinpoint his target audience better. Myth #3. A customer can mail up to 5,000 pieces for a saturation DDU flat rate of $0.145 per piece. Fact: True, but the customer is required to mail to every delivery address on the route selected, and depending on the number of routes and Zip Codes mailed to, the customer may be required to take it to several USPS locations. This cuts into the customer’s savings and convenience. Myth #4. A customer can print a flat-size piece that stands out above letter-size pieces. Fact: Printing a 5.5 X 8.5 card will stand out just as good for less money. The letter size piece will mail at $0.142 per piece, and the customer is not required to handle the mail. Trust LSC Mail Marketing’s 63+ years of experience to design, print, target, and mail your promotional piece. We are here to help with your marketing challenges before they become problems!